[...] (1) that the conditions of existence of the proletarians (what we would today term social exclusion) are in contradiction with all the principles of that society; (2) that they themselves live by other values than those of private property, profit, patriotism and bourgeois individualism; and (3) that their growing opposition to the State and the dominant class is a necessary effect of the modern social structure, but one which will soon prove lethal for that structure. The ideas of the ruling class are in every epoch the ruling ideas, i.e. the class which is the ruling material force of society is at the same time its ruling intellectual force. The class which has the means of material production at its disposal, has control at the same time over the means of mental production, so that thereby, generally speaking, the ideas of those who lack the means of mental production are subject to it. The ruling ideas are nothing more than the ideal expression of the dominant material relationships, the dominant material relationships grasped as ideas; hence of the relationships which make the one class the ruling one, therefore, the ideas of its dominance. The individuals composing the ruling class possess, among other things, consciousness, and therefore think. Gramsci’s thought cannot be summed up in a few lines. 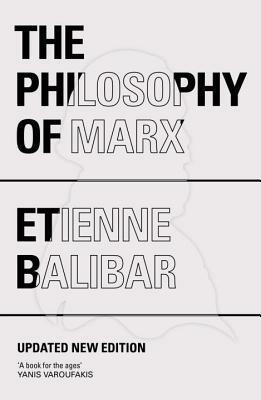 Let us note four closely interrelated themes here: (1) in a manner quite alien to the tradition of ‘dialectical materialism’, Gramsci saw Marxism as a ‘philosophy of praxis’ which he initially interpreted, in the days of the Russian Revolution in 1917 and the Turin ‘factory councils’ movement, as an affirmation of the will against the fatalism of the socialist organizations and, later, as a ‘science of politics’, Machiavellian in inspiration, the aim of which was to construct the elements of a hegemony of the producers; (2) this theme is linked to a ‘broadening’ of the ‘Marxist theory of the State’, which does not dispense with class determination, but stresses the complementary nature of the ‘balance of forces’ and the ‘consensus’ obtained through cultural institutions; (3) this explains why Gramsci devoted a considerable part of his unfinished research to a history and analysis of the function of the different types of intellectual, with a view to reforming the organic ‘bond’ which unites them to the masses when a new social class is in the ascendant; (4) there is also an ethical dimension to this critical thinking, not only in its quest for a morality or a ‘common sense’ for the workers which could free them from bourgeois hegemony, but in its effort to formulate and implement a regulative principle for political action which would be fundamentally secular and directed against all forms of messianic ideology (‘pessimism of the intelligence, optimism of the will’). [...] for Marx, progress is neither modernity nor liberalism nor, even less, is it capitalism. Or, rather, ‘dialectically’, it is capitalism insofar as capitalism makes socialism inevitable and, conversely, socialism insofar as socialism resolves the contradictions of capitalism. [...] in the case of the human species, which was thereby distinguished from every other species, individuals possess another essential attribute, consisting in their consciousness of their relationship to the common kind. Human beings are not only defined by membership of the human race but by their consciousness of belonging to it (an idea Marx himself abundantly employed in earlier texts). This enables them to construct a moral community on the basis of such consciousness.